Instead of watching the Winter months pass by from your windows learn to enjoy the winter and what mother nature has to offer. Snowshoeing promotes health and fitness by only walking! Snowshoeing is a fun activity for all ages. Snowshoeing is a great adventure for the family and friends. Snowshoeing makes exploring terrain as easy as walking in the summer time. 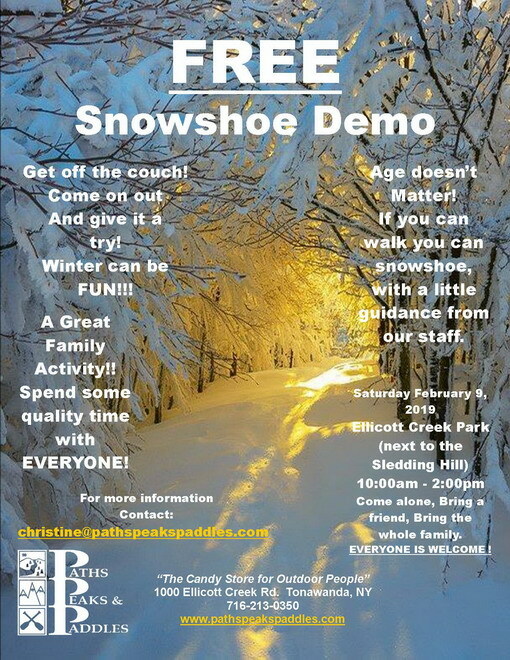 Come out and try snowshoeing with the instructors and guides from Paths, Peaks and Paddles. 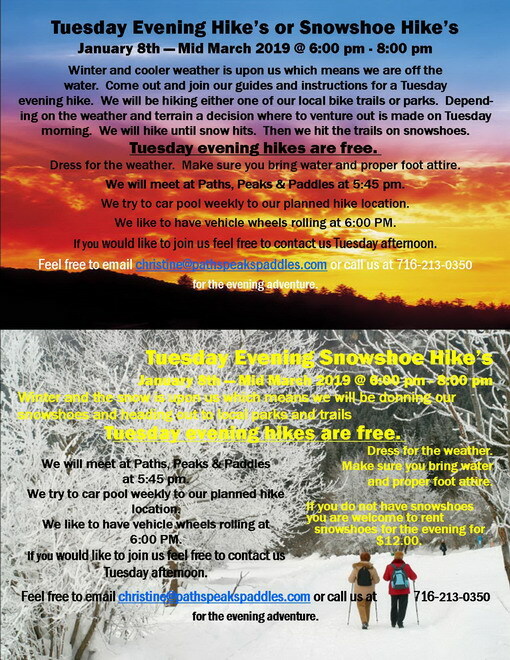 Our Instructors and Guides will be present to assist you with putting on your snowshoes, the use of poles and walking on the snow. 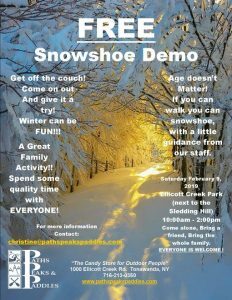 You will then have the opportunity to take a short tour in the park so you can experience how to walk with snowshoes. Join us at Ellicott Creek Park off Niagara Falls Blvd Tonawanda, NY. We will be located next to the sledding hill in the park. This FREE event will run from 10:00 am to 2:00 pm. We will have available for sale hot drinks to include hot chocolate and the introduction to Russian Tea. Dress for the weather!